So simple, this tofu sandwich is sure to delight. A perfect lunch, or even light dinner when you need something quick and nutritious. So filling and so yum ! You will be hooked on these sandwiches. Slice tofu, around 0.5 - mm – pat dry. This is essential, so that they tofu will fry well, and be crisp on the outside. Tofu needs flavour – simple salt and pepper is perfect for this sandwich. A generous amount can work well, but season to your taste. Heat- smoke pan and add oil, (around 1 cm). When hot, fry your tofu slices for around 2 minutes on each side until golden. Time to assemble, thinly spread a layer of mayo on each slice of bread. Add tofu and lettuce… and there you have the perfect tofu sandwich. Who can wait, eat immediately! I love this dish because the colour, fire red, is so cheerful and warm. A wonderful flavoursome dish to re-energise with. Translating as “pork fire meat”, thinly sliced pork is marinated in a sweet and spicy sauce which traditionally would be grilled on a bbq but we can make our “Fire Meat” at home in the pan too! High in protein, it’s also a great dish for kids, as the meat is cut super thin and marinated, making it tender and delicious! This recipe uses the Korean Chilli paste, gochujang, if you can’t find one that is safe for your diet, it is easy to make substitutes. A simple yet rewarding recipe to make at home – that’s very quick to make. Chicken Yakitori is definitely meant to be eaten with your hands, making it a perfect finger food for parties or for little fingers who enjoy eating meat on a stick. Traditionally, Yakitori would be made on a fire barbecue, but it’s just as easy to make at home in a pan. Meanwhile make your sauce – you can even make this sauce the day before if you want to save time. In a saucepan, over a medium heat add sauce ingredients and simmer, stirring occasionally, until slightly thickened, 20 – 30 minutes. Leave aside. Cut your chicken thigh fillets into strips around 1.5 cm – 2 cm thick. The idea is that they should be thick enough to skewer, but also thin enough to cook quickly. Now, ribbon the strips of chicken onto your skewers. Ensure that the chicken is not too tightly packed as we want the chicken to cook through evenly and quickly. If you are using a pan trim the end of the skewers, so they fit neatly in the pan. Add the Yakitori sauce at the very end, and only when meat has been cooked through. This is an essential part of the process. As the sauce bubbles away – coat and turn your skewers to ensure chicken is covered in the yummy sweet sticky Yakitori sauce. When the sauce starts to reduce turn off heat. and serve. Sake is available from selected bottle shops or Asian stores, always read the label. Yakitori tare sauce can be made in advance and kept in the fridge for up to 2 days. And it can be adjusted to your taste too! To save on time, rinse and clean your pan immediately after cooking. Apple Tarte Tatin is such a simple and delicious dish that’s sure to impress your guests, and children alike. This is a quick and easy version of the recipe that’s great to make with kids. What’s not to love about the origins of the Tart Tatin? Reputedly it was an accidental improvisation by a French cook in the 1800’s, who turned her pie upside down because she needed to make a quick dessert for her hotel guests. What a happy and delicious improvisation! If you live with food allergies necessity is the mother of invention. And this is another fantastic lesson for kids or any cook, and especially for those who live with food allergies or restrictions in our diet… everyone can invent! What I also love about this recipe is that it's “E” for EASY. And most of all this is a kid friendly recipe with simple ingredients – children can certainly work on this with you in the kitchen. For children with allergies or coeliac disease and other food-related health issues learning to cook can be so productive. Children can feel in control of food, rather than fearful, and ultimately develop a healthy love of food. And for all children, kitchen experience can really help their confidence grow, as they learn new life skills, and take steps towards independence. Absolutely love to see kids becoming involved in the kitchen! It is essential that your apples are tart, crisp and fresh. Floury soft apples may not lead to success and will fall apart too early or even melt into apple sauce. The pan is also key, you need an oven proof pan. We use a cast iron skillet – it’s shallow, and it heats quickly and evenly. It’s a real chef’s pan that is also inexpensive. Cover your pan with a thick layer of sugar, and then dollop on the extra butter – in slices. Meanwhile peel and slice the apples – around 3 cm slices or wedges. We want our apple slice to be thick enough to hold in the cooking process, so they will not fall apart. Add your apples, in your best decoration if you like, (another good job for kids) swirl apples around the pan as tightly as you can. Sprinkle a little more sugar over the top if you wish, and a squeeze of lemon. Cover your apples with a sheet of puff pastry, and tuck in around the edge. Make sure you glaze the pastry well, we used a dairy free spread and milk – any spread, and any type of milk you can use is ok. You could also use an egg wash. But we do need a glaze of some sort to ensure our pastry cooks quickly, before the apples are overdone. Now whizz your tart into your very hot oven on the top shelf, for around 20-25 minutes. Keep a close eye on it though and as soon as your pastry is browned and cooked remove from oven. And allow to sit for a few minutes on the warm stove top. Place a plate on top. And flip. There may be a few apples stuck to the pan, if so, add them back to your tart. The top should be a little bit jammy, this is the caramelisation that you should see on the bottom of the pan. If there is any excess liquid drizzle over the top, and it will start to “set” like a jam. Enjoy with cream or vanilla ice-cream/ yoghurt if you wish. I think it does very well on it’s own! Such an easy dessert that can impress, without spending hours in the kitchen, you can make something the looks and tastes amazing! So easy So yum! 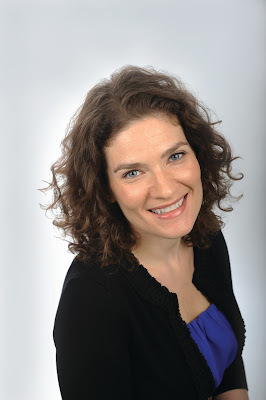 So, your food allergic child is invited to birthday party, while part of you is elated for your child, secretly the dread in your stomach starts to stir, will it be safe? Will your child feel different? The first stage of party invitations can seem daunting when you live with food allergies. Children’s parties are exciting, and are a great way for your child to feel part of their peer group and foster friendships. 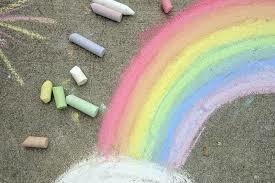 We all want our children to be included in the party fun, just like every other child. Here are some tips to help tackle parties, and the first few years of school, when it sometimes seems there are parties every other week. This sticky chicken recipe is the perfect make at home, Asian style stir fry. YES you can do it! This chicken stir fry recipe is soooo easy to make. If you are avoiding Asian restaurants due to allergies, this might be the recipe for you! This is a great dish that’s light on ingredients, big on taste. Simple recipes often are the best when you live with food allergies. There is no need to add any flour in this "at home take-out" Chinese style stir-fry, as the honey works to make a thick glistening glaze. The added carrot also makes a great sweetener, while the ginger adds a little spice and depth. Definitely one for the whole family. An ideal quick week-night meal. Dice the chicken quite small, around 1-2cm. This really makes the dish. Small pieces of meat can sometimes be a helpful way to encourage to children to eat meat too. And it makes the cooking process even quicker, great for a quick feed during the week. Coat the meat with 1 x table spoon of your chosen soy sauce and 1 x tbsp honey. Only a light coat is needed, no need to drown the meat. This will assist in the processing of frying too. Marinate in the fridge for at least 30 minutes (if time permits). This process helps to soften the meat, and tenderise, but it's not essential. Meanwhile, very finely dice your ginger, should be around at least one table spoon. Next, julienne your carrots like matchsticks. Heat the pan or wok until very hot. Add one tablespoon of vegetable or other cooking oil. Add your meat, and keep the heat on HIGH. Toss and stir as you go. Key tip: don't overcrowd the pan, depending on your portions and the size of your wok, you will need to cook in batches. Add further soy sauce if pan is too dry, no more than around 1 tbsp. Keep tossing your wok, every so often, only so that the meat does not blacken and char and cooks evenly. When the meat is cooked through, add 2 x table spoons of honey. Toss and continue to cook. You should now be seeing the yummy caramelising process, as your honey bubbles up. Continue on the high heat, and allow to reduce and thicken. It’s important to add the honey right towards the end, otherwise your meat will burn. And, can lose some of it's sweetness if you add it too early. Key tip: the caramelisation must be towards the end, when the meat is cooked. After two to three minutes, add your carrot just at the very before you turn the heat off. Your chicken should be glazed, sticky and ready to devour! You can modify as you like with additional ginger, or chilli for a spicy version. It's easy to make your own sushi rolls at home. A delicious, healthy and easy snack to make with kids. Freshly made sushi is the best hands down. Do you love someone with food allergies? 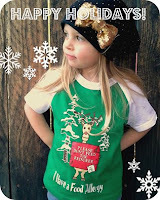 Allergy Punk offers a great selection of unique gift ideas that would make a beautiful gift to someone with food allergies, asthma or coeliac disease. We have a range of Apparel, Books, Travel items and Cosmetics that would make perfect stocking fillers, or helpful items to pack for your summer holiday. Are you looking for an easy, beginners guide to living well with Food Allergies? Thai’s Guide to Being Food Allergy Smart – Parent Guide, is the latest in the My Food Allergy Series, featuring the lovable character Thai, who helps children with allergies learn how to be safe and also feel included. Easy Sunday night comfort food! This delicious Greek style vegetable bake could be the most delicious roasted vegetables you have ever tried! 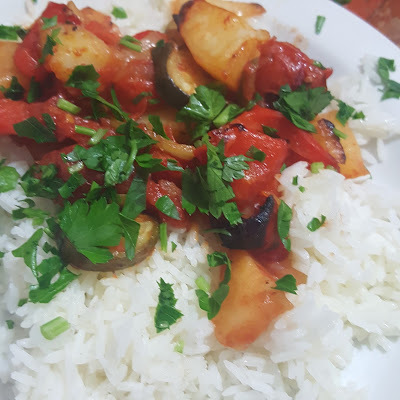 This recipe is an adaption of Briam, the Greek style vegetable bake and similar to the French Ratatouille or Italian Caponata. 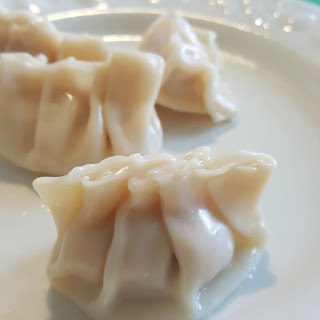 Easy as, steamed dumplings! Perfect for a cold winter day. Popular with children, and a fantastic cooking activity for keen young chefs too! We are making steamed dumplings here. 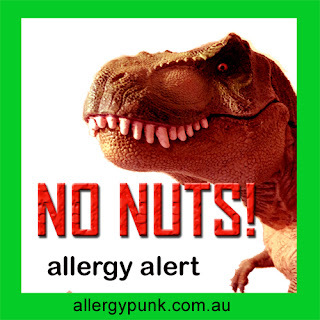 Australian children have the highest recorded rate of food allergies in the world. One in 10 babies born in Australia today will develop a food allergy. 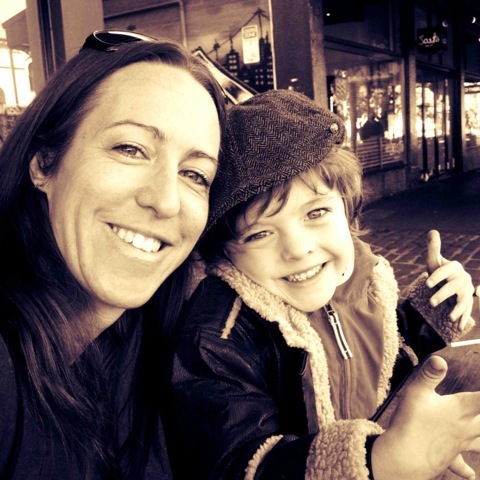 As, Food Allergy Week coincides with Mother's Day this year we are highlighting the awesome work of Aussie Food Allergy mums and advocates. Australian children have the highest recorded rate of food allergies in the world. Onein 10 babies born in Australia today will develop a food allergy. As, Food Allergy Week coincides with Mother's Day this year we are highlighting the awesome work of Aussie Food Allergy mums and advocates. These Lazy Lentil burgers are a delicious, easy Sunday comfort food. Perfect for lunch box left overs too! Let's face it, many of us don’t always feel like cooking, even though if you live with food allergies or coeliac disease, you often find you need to cook a lot more meals from scratch. 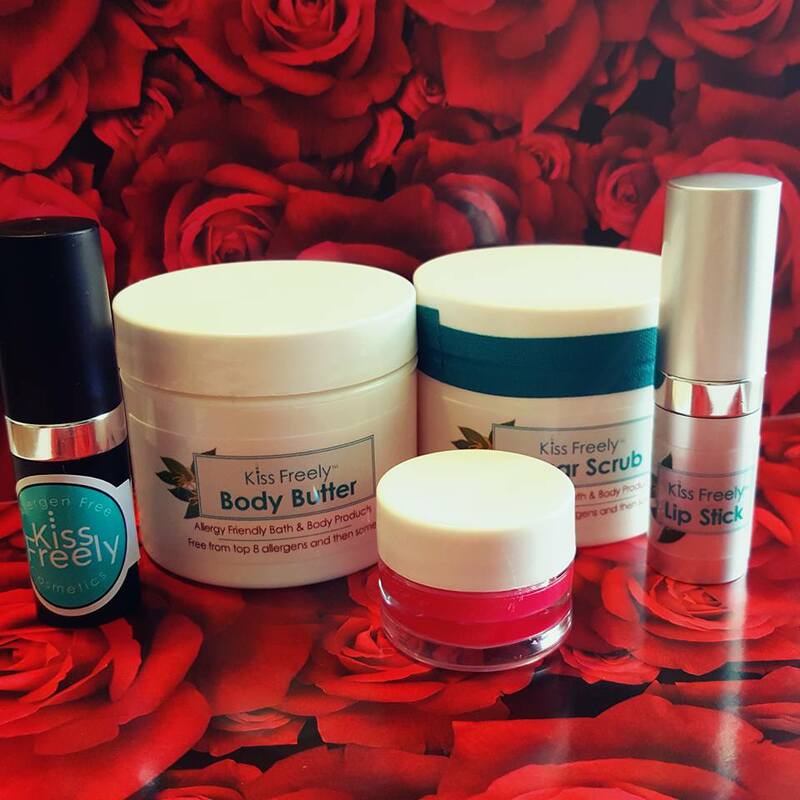 Valentines Kiss Freely gift pack includes Sugar Plum lipstick, Candy Pink Lip gloss, Best Ever Body Butter, Sugar Scrub plus Barely there lipstick.!! Sending your child off to school with serious food allergies can be daunting and stressful. Having a good risk minimisation plan in place and building communication with your child’s school can make a big difference. Do you love someone with food allergies? We know the Holidays can be stressful, that is why we are also offering Free gift wrapping PLUS Express Shipping! Have you seen our gorgeous range of Allergy awareness t-shirts? Do you go trick or treating with your allergic or coeliac child? Have you heard of the Switch Witch? Halloween has become a popular child friendly night for some communities, a chance to dress up and catch up for some fun with people in your neighbourhood. But how can you include your allergic child while focusing on safety? 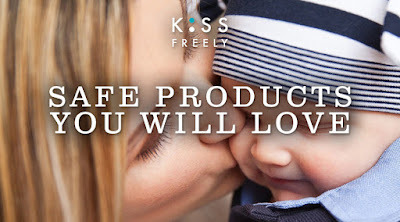 Kiss Freely is an exciting cosmetics range, designed for and by a family with food allergies. Free from the top 8 food allergens, but also free from some other common allergens (sesame, shea butter, coconut, avocado, and mango). Kiss Freely is now launching in Australia. How did you come up with the idea for Kiss Freely? Was there a catalyst or inspiration? 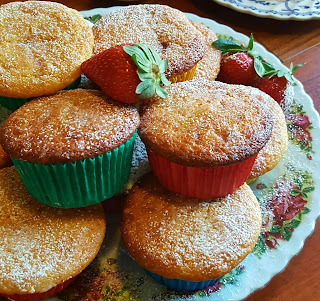 These Jam Surprise cakes with jammy fruit inside are easy, quick and fun to make … and devour! Perfect for when friends are around for afternoon tea! This easy recipe is definitely one you can also make with children. Most of the ingredients are adjustable depending on your allergies. Great breakfast muffin/cake when you are on the go, for children’s lunchboxes or easy snack. Always carry your emergency medications wherever you go! 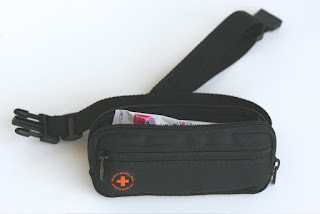 Our quality range of medical carry all bags fit 2 or more EpiPens and / or other medications! Designed to fit 2 EpiPen®, Anapen, Jext or other brand epinephrine auto-injectors snugly to reduce bulk and encourage people of ALL ages to keep their epinephrine with them at ALL times. It’s that time of year when all the stores are featuring colourful, shiny, glittering displays of chocolate bunnies and Easter eggs, filled with toys or favourite children’s characters. It’s hard to miss. It’s also hard to miss that so many of these treats designed for children contain nuts and other common allergens, like dairy and egg. 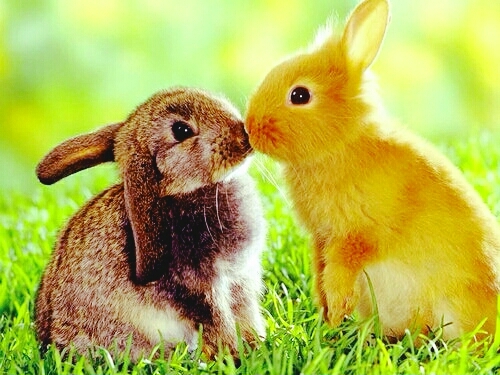 Perfect for Easter, or anytime. These are great to make with kids. 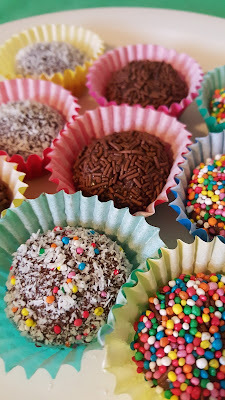 Great alternative to chocolate Easter eggs as a yummy treat for the holidays. New range of lunchbox stickers, ideal for playgroup, preschool or out and about. These stickers, are a fun way to approach the subject, and to promote allergy awareness. It’s great to think that we can all be food allergy friends for children with serious allergies. You’ve shown us the way with your wonderful allergy education resources. We all want to keep children with food allergies safe. 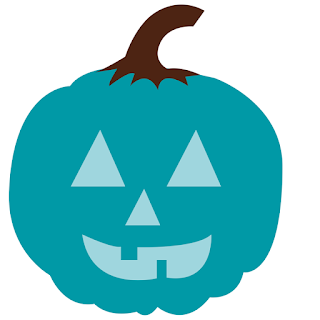 If you are participating in trick or treating in your neighbourhood, or hosting a Halloween fun activity show you care and consider kids with allergies, coeliac, and food intolerances. 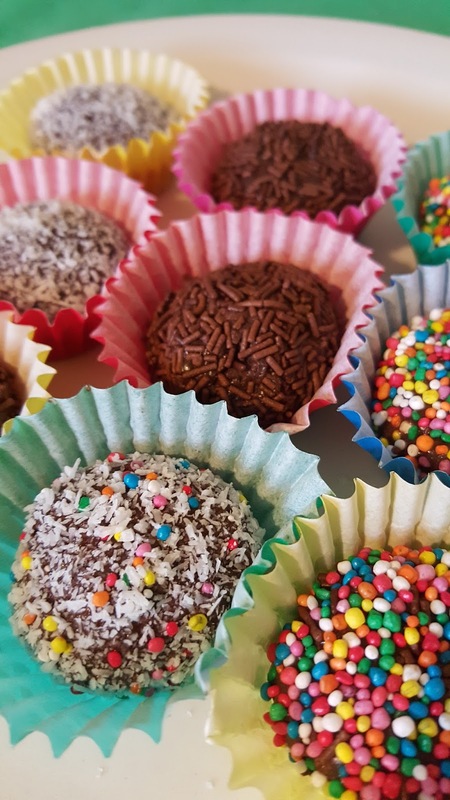 Food treats are still common in many class rooms and kinder’s today whether it’s to celebrate a birthday, or whether it’s a teacher sweet treat, fundraiser or class party. But why risk it? This book week, don’t be left out with these fantastic series of allergy books for children… including new titles. Promote inclusiveness, allergy awareness and literacy all in one go with these great series of seriously fun and imaginative kid’s allergy books.